We already showed you the concept by Oberdan Bezzi for a Yamaha MT-09 based Ténéré adventure-tourer, but we thought we would up the ante now that the Italian designer has inked a “Worldcrosser” version of the three-cylinder machine as well. Complete with knobbies, and over 150 lbs lighter than the 1,200cc Super Ténéré, the Yamaha MT-09 Ténéré Worldcrosser could also boast a sticker price that is nearly half that of the venerable ADV bike from Yamaha. It might just be a drawing, but there is something about this concept that really has us excited. 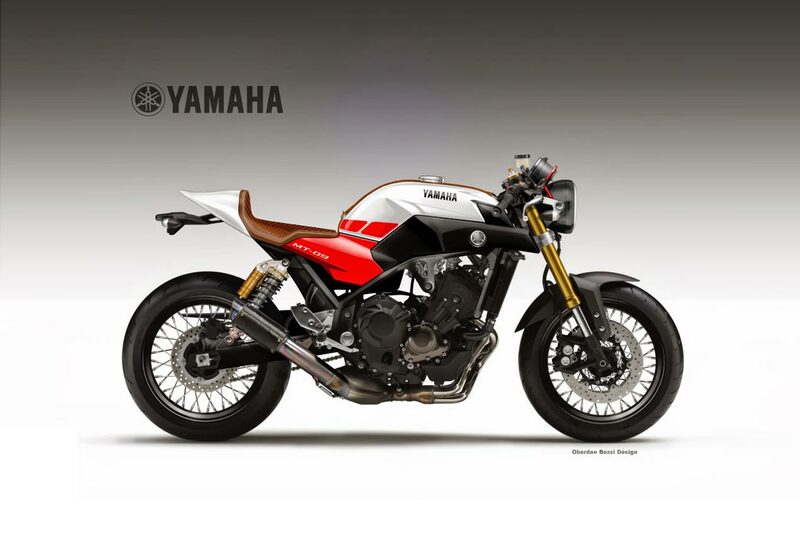 To keep the creative juices rolling, there is a café racer version of the Yamaha MT-09 after the jump as well. Could this become the new “go-to” platform for customizers? At $7,990 MSRP, it just might be.